We welcome you to Smile Design Studio! 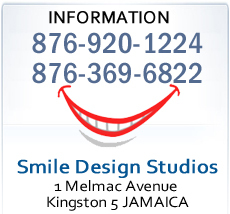 Smile Design Studio is a general and cosmetic dental office in Kingston Jamaica. The general and cosmetic dentistry practice of Dr. Anthony O. Johnson BDS, FICOI offers unbeatable services that you give you healthy teeth and gums for a lifetime! Dr. Anthony Johnson BDS and the friendly professional staff of Smile Design Studio wants to be your Kingston Dentist of choice! At Smile Design Studio, we would like to welcome you to our new dental office located at 1 Melmac Avenue, Kingston 5 Jamaica. Come meet our staff and learn about our practice philosophy and services. We have been providing general and cosmetic dentistry services to patients in Jamaica for over 20 years. Gentle Family Dentistry can give you and your family the quality dental care you deserve. Our dental services are geared towards serving your entire family including your kids, teens and seniors with general and cosmetic dentistry services. Please visit our services page for all of our general and cosmetic dentistry services. 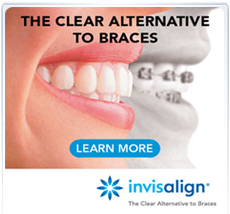 It includes LUMIBRITE teeth whitening system, your first step in feeling good and looking great with brighter, whiter teeth in less than an hour, and Invisalign the clear alternative to braces just to mention a few of the transformation system available at the Smile Design Studio.